In a small saucepan, melt the butter with sugar and dried orange peel, stirring constantly until sugar is dissolved. Remove from heat, stir in cinnamon and salt and mix well. 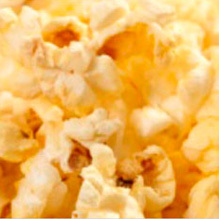 Pour over popcorn and toss to coat evenly.